The Espadrille as mentioned previously is a classic shoe style that originates from the Pyrenees mountain region of Spain & France. It is defined by its jute rope sole, and is often made with canvas uppers. The modern manufacture of these shoes, is often factor driven. The jute rope has become a decorative feature. 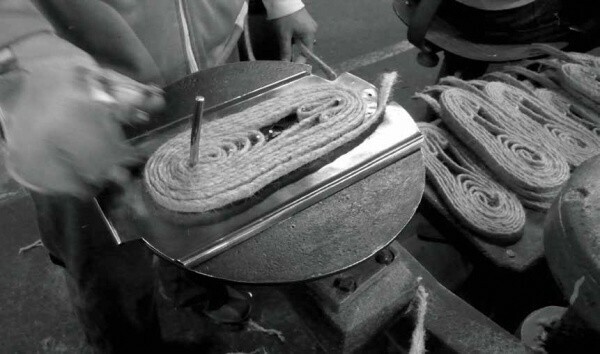 The soles of the shoes will now be made from volcanized rubber, and surround by the jute roping, to provide longer lasting soles, that can be mass produced. 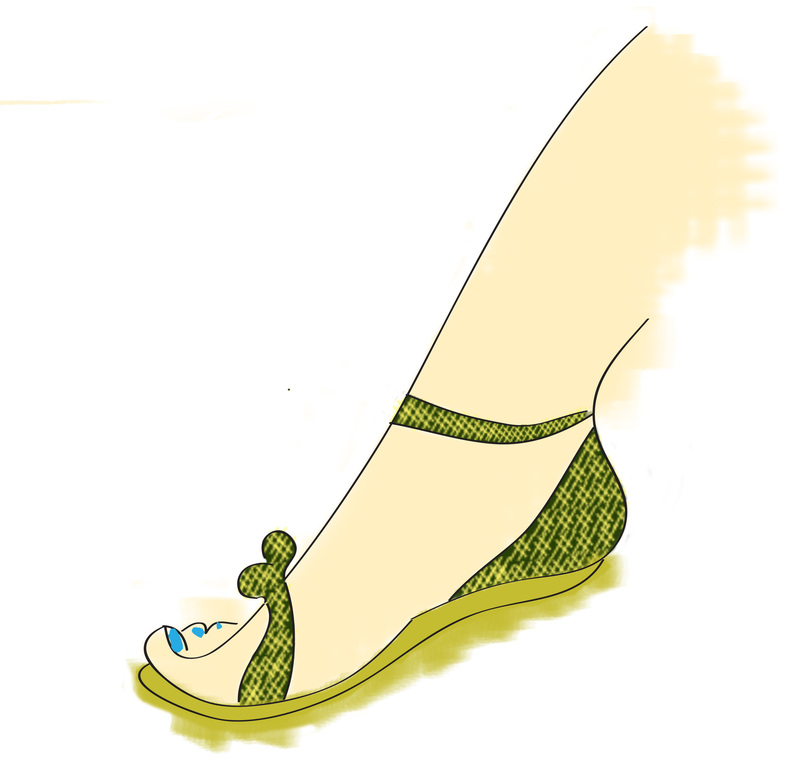 The shoes are now made as flats, and wedges and have been approached by many big fashion designers. 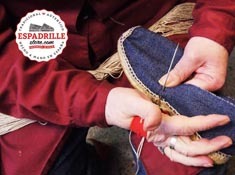 There are still a few places, however where hand made espadrilles can be found, and the making process has been kindly laid out for us to observe. The sole is made from jute rope. The rope is wrapped around well placed pins to provide the shape, and is sewn together. The turn table allows the craft maker to create many soles quickly. These videos and pictures and a real insight into how I must design both my uppers (in terms of shape) and the jute rope sole. I recently posted that I would be making a pair of espadrilles for my latest project. Good readers I can tell you I have made prototype one, and it is far too ugly to post! My enthusiasm got the better of me as it so often does, and I neglected creating swatches, or doing any research. 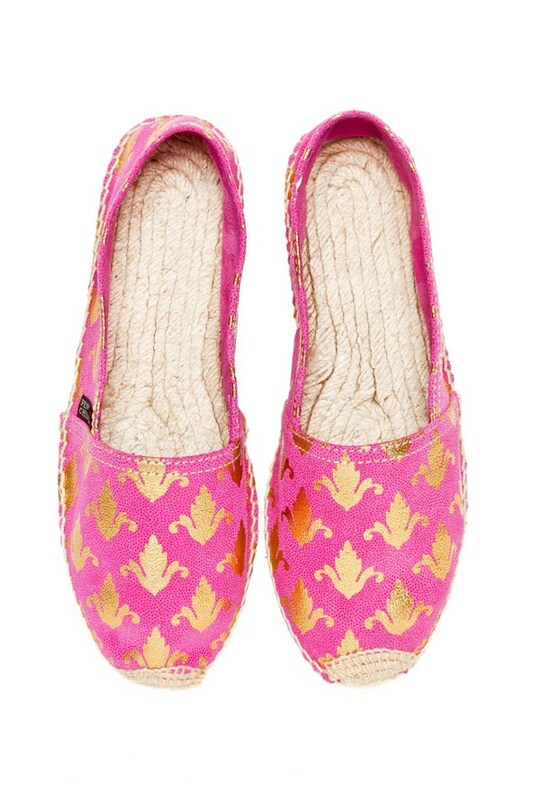 As some other ladies in our Ravelry group are joining my quest to make some espadrilles, I will now be conducting the proper research, and posting it here on the blog, so that others will not need a prototype, as we are naming the beast, and will be able to come away with a beautiful shoe. In the mean time take a look at this Valentino Espadrille that has inspired me to try harder, and make something beautiful. After picking Feet as the first of the Head to Toe Challnege zones for the month of August, I thought long and hard about what my first “foot” project would be. As ambitious as ever I decided to try something a little unusual. I decided to challenge myself to design an entirely knit pair of knit shoes. Although it may sound a little ‘out there’ but it only takes a little research to see that it is actually quite an achievable goal, and one shoe in particular stands out at the best to recreate in yarn. The espadrille is a casual, sandal like shoe originating from the Pyrenees. Known for the light colored jute rope soles, these casual creations have become a classic fashion accessory, appearing time and time again on the catwalk. Although the original Espadrille is designed as a flat, fully covered shoe they now come in a variety of heel heights and both closed and open toe. ESPADRILLES have long been staples of our summer wardrobes, thanks to their easy-going appeal and breathable nature. This year however, they have been given a new lease of life, coming in metallics, pony skin and hot, hot pink – even Chanel joined the jute party for spring/summer 2013. 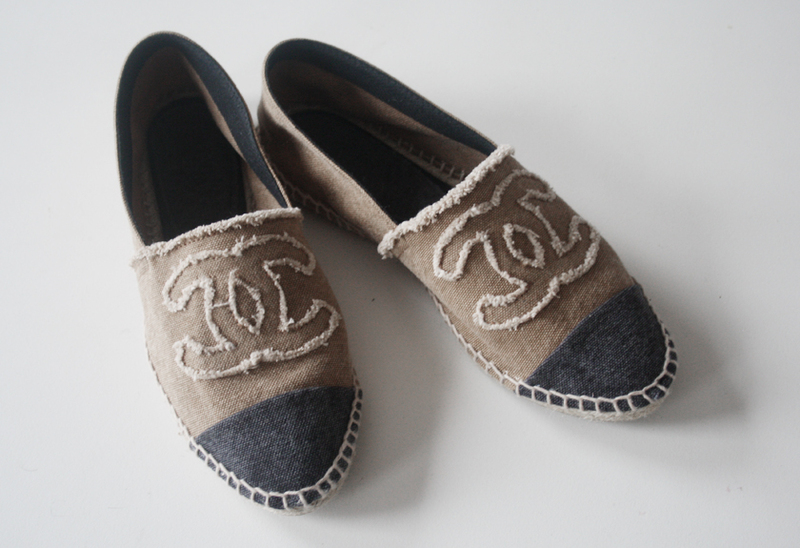 After doing my research I designed two unique Espadrilles, which are pictured below. After careful consideration I decided to combine the two designs, creating the closed toe shoe with the colour & patterning of the open toe design. My next step is to make the jute rope sole. I have purchased jute twine from a local garden centre and plan to build the sole up by knitting the twine into a long i cord, which will be folded & sewn against itself in the shape of a shoe sole. Take a look over the last 3 projects you have finished. Are they diverse in size, shape, and purpose or do you have a basket full of mittens, scarves and hats? 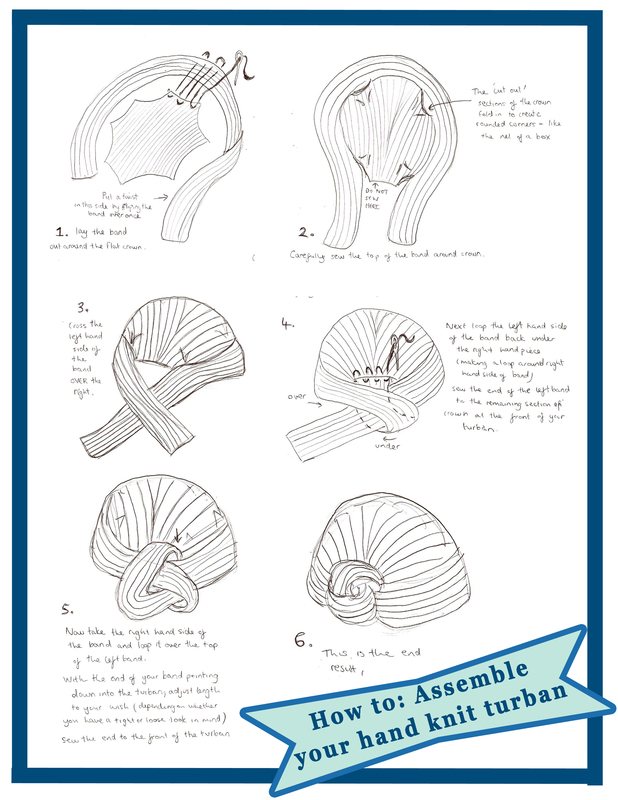 Did each project take you down a path of learning to new techniques and materials, or are you floating in a sea of stockinette? 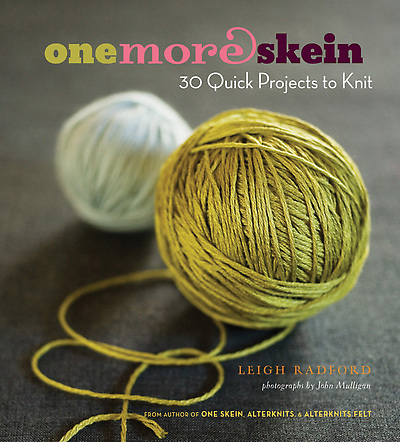 Whether a yarn addict or a casual enthusiast, it is all too easy to get stuck in a project rut. For most of the working population, it’s hard to be motivated into taking on a large, or complex challenge after a stressful day at work. 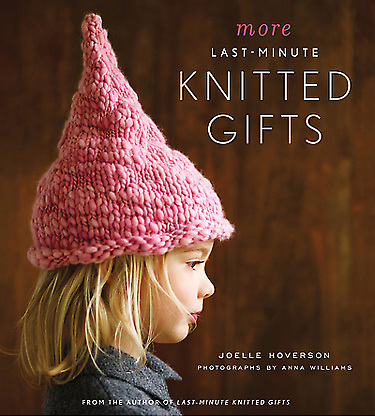 However I am determined to revive my knitting routine. Just as the beer bellied crowds head to the gym on New Year’s Day, I will be breaking bad habits & keeping my body of work healthy with “The Head to Toe Challenge”. It even sounds like a fitness boot camp. Each month you will need to complete a minimum of one project per zone. Each pattern or project will need to present a new challenge. You can start at any zone, and work your way through in any order, but by January 1st 2014 you must have completed a project from each zone. The challenge starts August 1stgiving you a few days to think up your first challenge. I have designated this forum wall on Ravelry to those who want to join me. Here you can discuss & share project delights, woes and pictures. The best project from each category from each month will be posted on the blog. 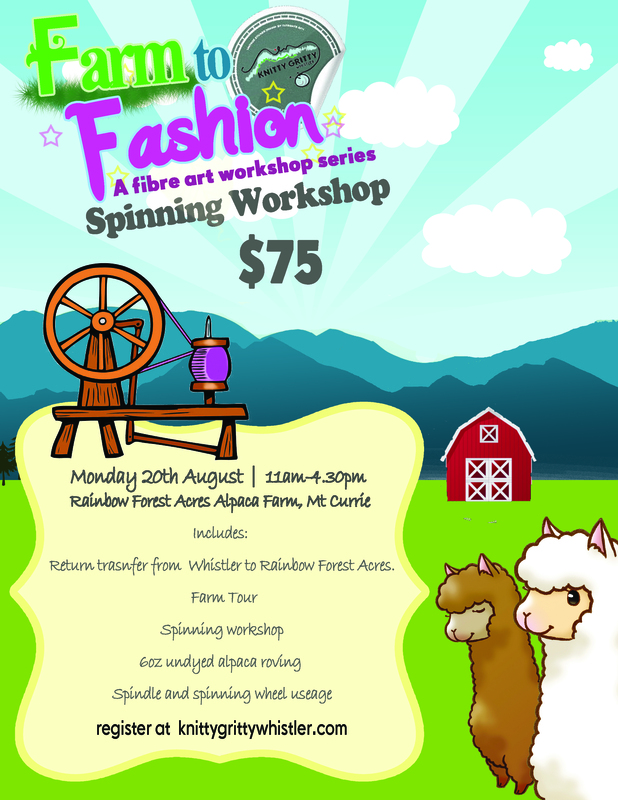 Please share this around to all your knit or crochet friends, so that we can get a good group going! 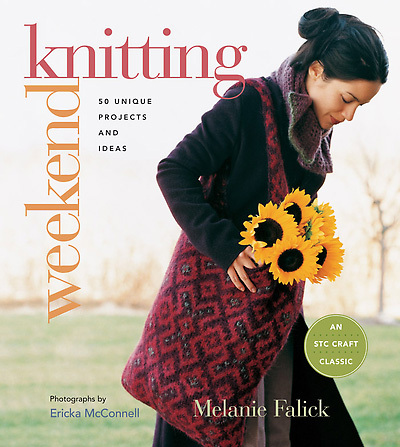 Recently I have been reading “Weekend Knitting” by Melanie Falick, so let me start by reviewing the book. 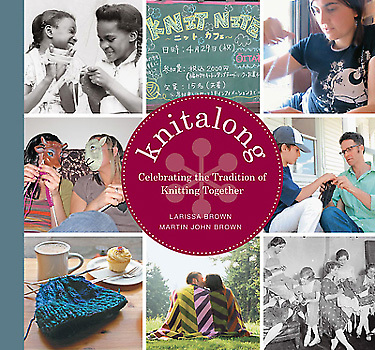 This book looks at knitting from a “lifestyle” perspective, fusing knitting patterns,with recommended literature and baking recipes, all intent on making for a perfect weekend. However this book falls short of all that it promises. It lacks heart from the author and almost seems to have been pieced together, with the theme as an after thought. 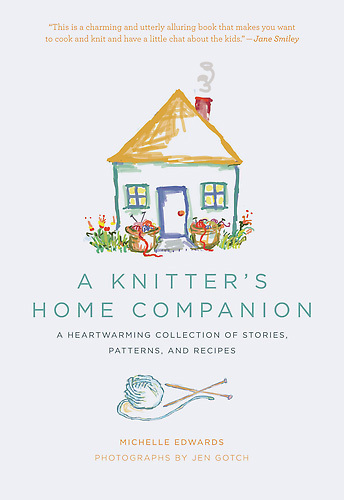 Equally as all the patterns and recipes and provided by contributors, the only part of the book that gives us any insight into the authors personality are the blurbs, which are brief and lackluster. 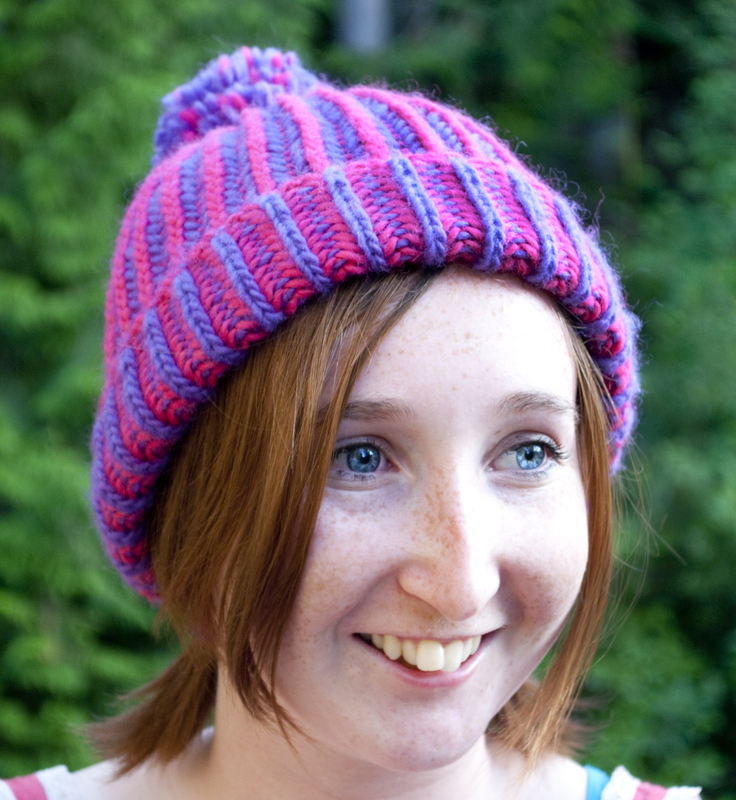 The pattern for the brioche hat is an interesting one. And I must confess I have a love/ hate relationship with it. I really love the texture, the look of the end results, and the ease of the technique after the first few rounds. However, the cast on is incredibly frustrating, and the decrease baffled me, meaning that my decrease was not in pattern. Both of these elements are no fault of the designer though I do believe that the instructions could be a little clearer. Equally the addition of some pictures would help. I would recommend the pattern, however if this is something you want to try take these steps to prepare, to make it as easy as possible. 1. You only need the smaller circular needle. Firstly the pattern in the book requires two circular needles, one larger than the other, but Ms Eaton’s ravelry profile for this pattern states that this is not necessary. The “tubular” or “Italian” cast on is tricky. Once you have finally got all the stitches on the needles, the set up rows (first 3 rows) are a nightmare. I really recommend watching this video from cotton and clouds to learn the cast on…. … and then this video by lchilton275 to understand the theory behind the stitch.Whilst she does take a slightly different approach to the pattern itself, by watching this video you will be able to see whether your work was correct from the get go. Before watching this video I frogged my cast on rows 6 times! If the videos don’t work for you here is an explanation from what I have learnt. When you work a purl row (sl1, yo p2tog), the color you working with (purple in my case) will “sandwich” the other color. So once the row is finished you will have 2 dark stitches, 1 light all the way along. If you put your yarn to the back of the needles, then slip a stitch and p2tog, it will make it easier to see this pattern emerging as you go. The same is true the other way around, so on a knit row your light color with sandwich your dark stitches. Pick a time and a place to start this project. Because the first few rows are tricky you will need to concentrate and be patient. Once you get in the swing however, the pattern becomes second nature and you can easily complete it while watching a film. Before you make the pattern be sure you know what you want from your hat. 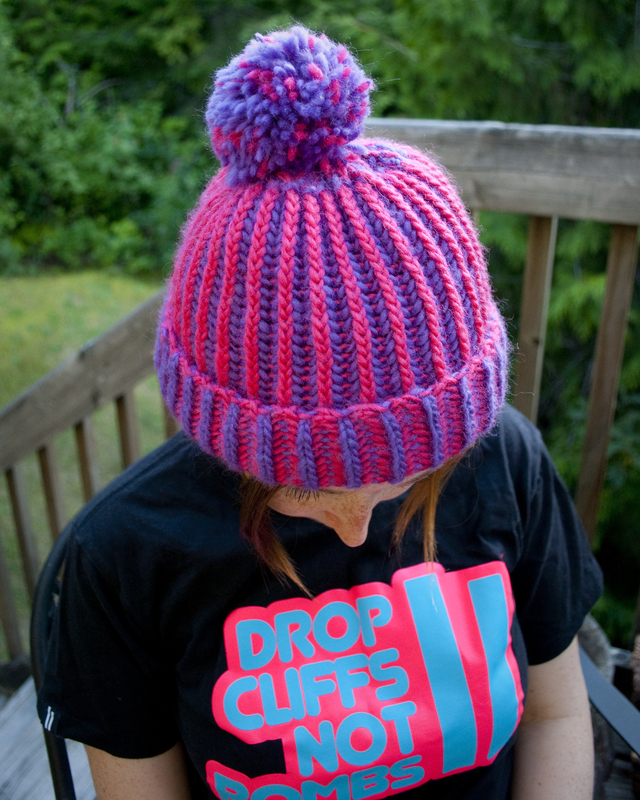 Because the decrease is very rounded, it is not wearable as a baggy toque. If you want the option to wear it without the cuff you will need to make a steeper increase, or choose another pattern. 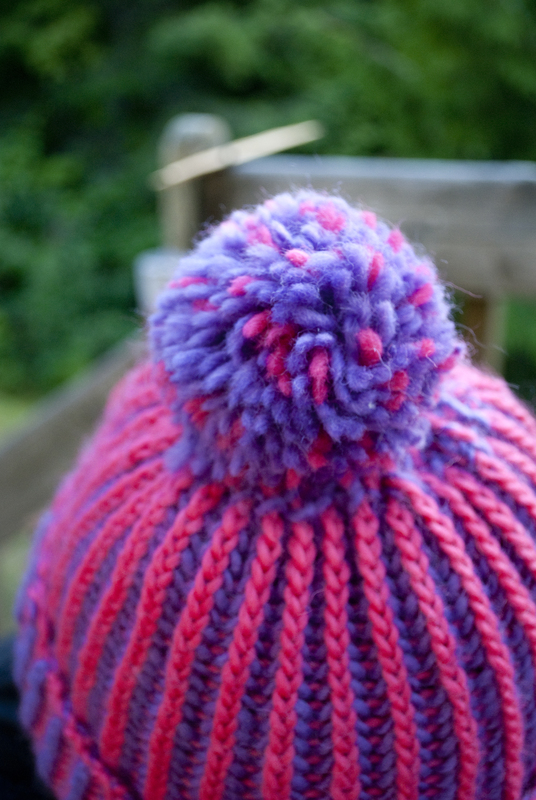 The shape is well suited for males, and I found that adding the pom pom to mine made it much more feminine. Really think about your colors before you approach this project. You will see that Ms Eaton takes great care to use a dark and a light color. I made mine in two very bold colors, which I love, and are suited to the my “ski bum” lifestyle. I recommend plain colors. Using variegated yarn, or self striping will take away from all your hard work on the texture and will look messy. You should be ready to go now, so happy knitting all! Please post your pictures of this hat in the comments below, or ask any questions! It is complete. Two months, 1000 m of yarn, and very sore fingers! But I am immensely happy with the result. I will be taking it out in the public eye tomorrow at the Function Junction Block Party, so please feel free to come and say hi and check out the work. Copied below is more information about my work from the press release and some extra pictures for all you followers!. Tomorrow will be the unveiling of an exciting new art installation from creator Anna Lynch. The “yarn mobile” as it has been affectionately coined by Lynch, will be shown in public tomorrow evening at the Function Junction Block Party, in Whistler BC. The mobile art installation, is a depiction of Whistler’s ecosystem, hand knit on to a bicycle frame. But why a bicycle? Lynch says “There is no better way of depicting the beauty of this area, and the feeling of this town, than on something that residents here can really relate to. If you think of Whistler in the summertime you think bicycle. Whats more the art work itself shows the cycle of our ecosystem, and so I found it fitting to mirror this idea in the display”. Every element of the piece was hand knit by Lynch, from left over yarn. 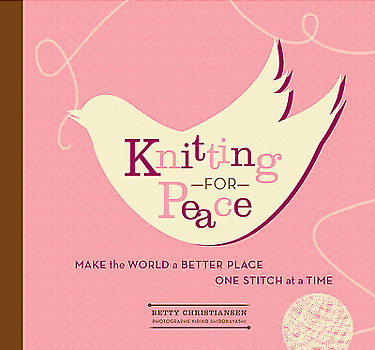 “ I didn’t buy any new yarn to make this project. I simply used an array of left over strands from previous projects. Whatever the colour, or fibre, none of the yarn was ever chosen with this in mind. I worked with what I had”. For those who are familiar with the trend of “yarn bombing”, knitting around a bicycle may not be a new concept. However, unlike any bicycle that has been detailed in this way previously, Lynch’s piece branches out from the frame. “When the idea came to me to make this depiction, I knew it could not be constrained by the frame of the bike. The nature, and the wilds of BC, its mountain range, wild flowers and relentless weather cycles, would not be given justice if made to fit the frame like a picture. I wanted the overwhelming impact and beauty of the nature here to really jump out”. When asked how much planning went into the piece Lynch says “After the initial idea, there was actually very little forward planning. I knew I would make the river and the mountains, but that was it. I had not thought of how I would make these pieces and what would come next. As these pieces became complete the bicycle began to take shape organically”. The piece took two months to come to fruition, and used approximately 1093yds/1000m of scrap yarn. Whistler Ecosystem Cycle”, or “yarn mobile” as it has come to be known is for sale on Lynch’s website. “This piece is one of a kind. It was challenging and exciting to make, but will certainly be the only bicycle I create. I don’t know what my next project will be right now, but that’s what I love about creating art, you never know what form your next inspiration will take!”. 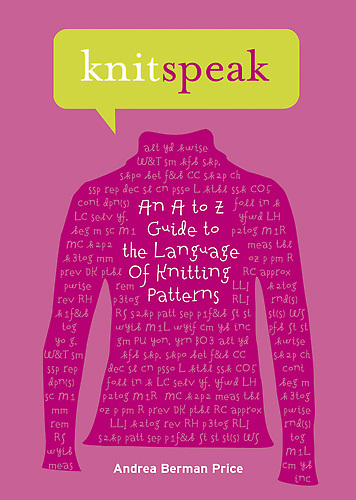 If you would like more information on this topic, or to schedule an interview with Anna Lynch, please email knittygrittywhistler@gmail.com. So in a bid to get the yarn mobile completed a little faster and keep you all in suspense, I have not posted some of my recent progress on the blog. Covering all the frame in striped covers which took a total of 12 hours. A rainbow which took 4 hours. A whole host of maple leaves which took 8 hours. And this little gem below. This took 5 hours. 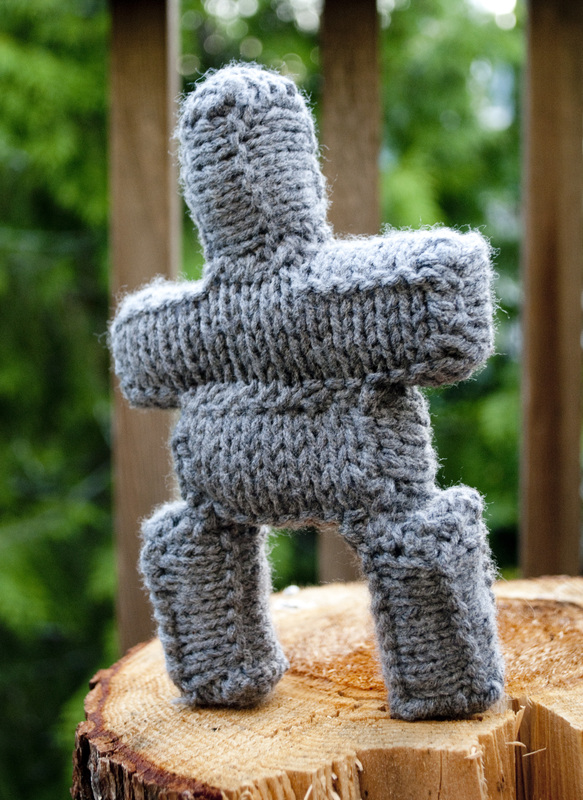 This is a knitted and stuffed Inukshuk. 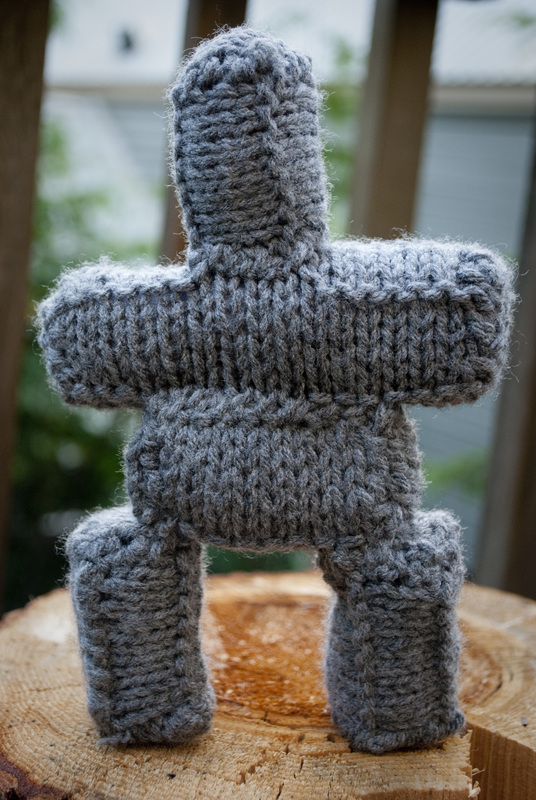 For those of you that don’t know Whistler has several Inukshuks (if you have read the blog you will know we gave one a big scarf). An Inukshuk, is a stone landmark used by the first nations of North America. It is often found in places with sparse land markings, and is used as a navigation tool or to mark a settlement. The reason for the abundance of these in Whistler is that it was the symbol for the 2010 winter Olympics, and Whistler hosted several of the Olympic events. We use our Inukshuk’s as a welcome. I have been wanted to make a knitted version since last year, but never found the time. But the yarn mobile presented the perfect opportunity to make one. I made it by knitting a number of rectangle boxes. Each was knit flat, like a net, then sewn together and stuffed. I will post a pattern to make this in the near future! 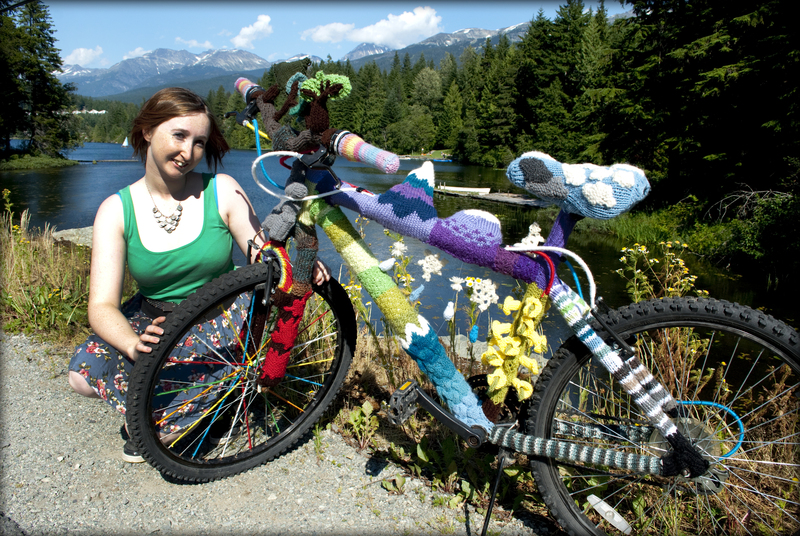 As for the project, I only have a few pieces left to knit now, so you may see the yarn mobile on the streets of Whistler very soon!